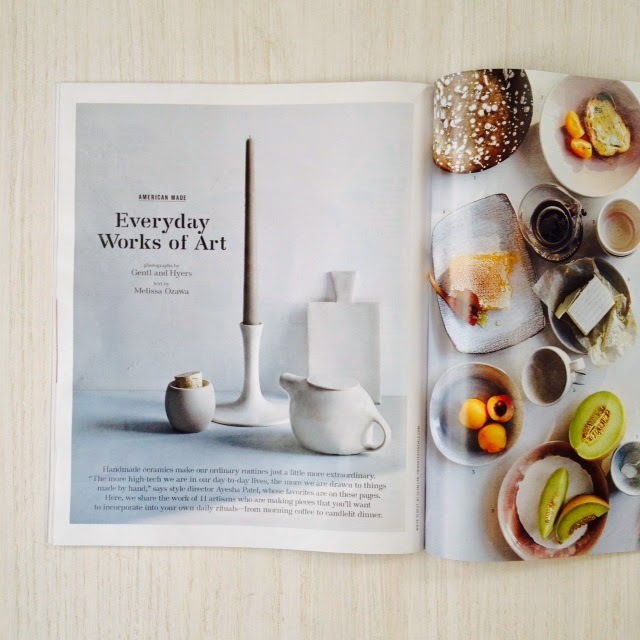 martha stewart "everyday works of art"
I am honored to be included in the "Everyday Works of Art" feature in this months Martha Stewart Living magazine. It's beautifully photographed by Gentl and Hyers. Produced and styled by Ayesha Patel, the Editorial Style Director at MSL, who is responsible for so many of the gorgeous stories in the magazine. Together they have created this visually stunning story. 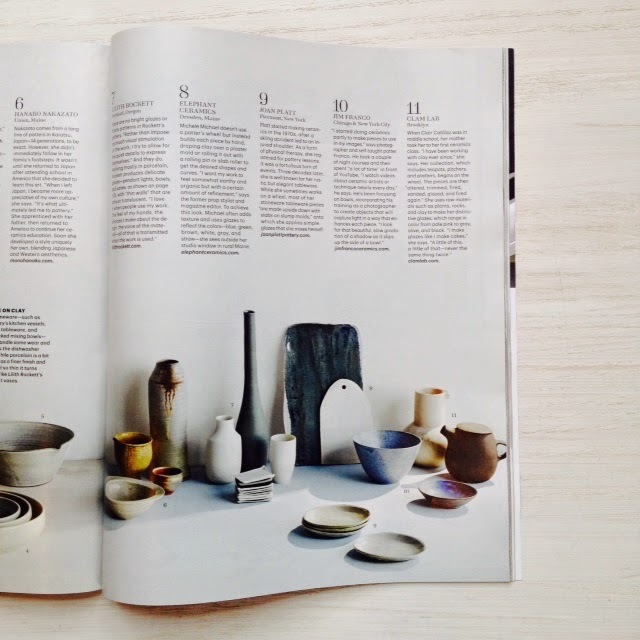 Thank you, Ayesha, for including my work among this talented group of ceramicists! Thank you to Food & Wine magazine and Market Editor, Suzie Myers, for including my indigo platter in the June 2014 issue of F&W. I'm a huge fan of David Chang's restaurants and food! Living in Maine I do miss my favorite NY restaurants, and this being one of them!